Boston tops Charlotte for 2nd-straight win. CHARLOTTE, N.C. (AP) — Jordan Crawford had 21 points, reserve Gerald Wallace added a season-high 17 points and the Boston Celtics beat the Charlotte Bobcats 96-86 Monday night for their second straight victory. Boston’s bench outscored Charlotte’s 39-15. Charlotte cut Boston’s lead to 68-66 entering the fourth quarter, but the Celtics got a 3-pointer from Courtney Lee and a layup by Kris Humphries off a pick and roll to regain control. Boston started slow, falling behind 20-10 but took a 47-38 lead into halftime after outscoring the Bobcats 33-17 in the second quarter. The Celtics came alive behind the outside shooting of Crawford, who knocked down three 3-pointers and led all scorers at the break with 12 points. Charlotte entered the game with the NBA’s third best defense, allowing just 83.6 points on 38.4 percent shooting. Strangely enough, the Bobcats have struggled more at home, surrendering 98 points per game on 47.6 percent while losing five of six at home. NOTES: Henderson has scored in double digits 13 times this season, including the last six games. … Green has scored in double digits 13 times for the Celtics. 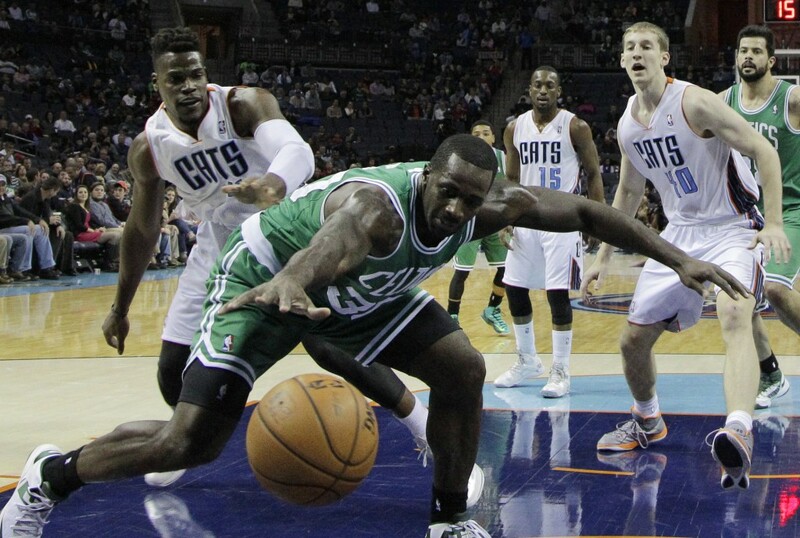 … The Celtics are 2-3 against the Bobcats in their last five games.